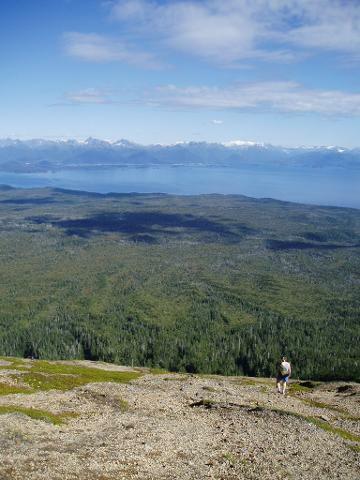 Your excursion begins at Sitka Alaska Outfitters shop where you will meet your guide and be outfitted for your trip. 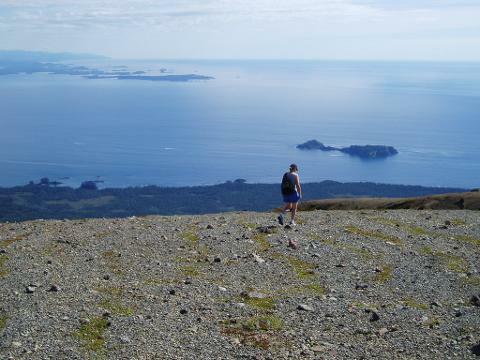 A van will take you to the boat that will take you across Sitka Sound to Kruzof Island where the hike takes place. 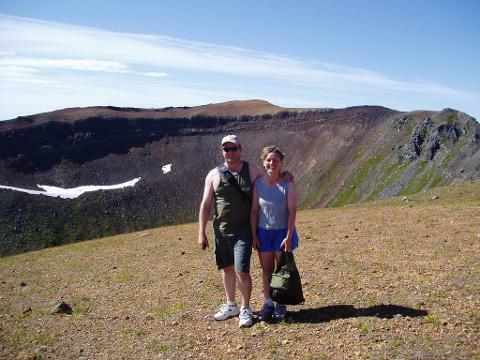 The Captain will put you and your guide ashore at Freds Creek where the trail up the volcano begins.The captain will then leave you with the guide to enjoy 6 Hours of guided hiking and exploring and a picnic lunch on the trail. 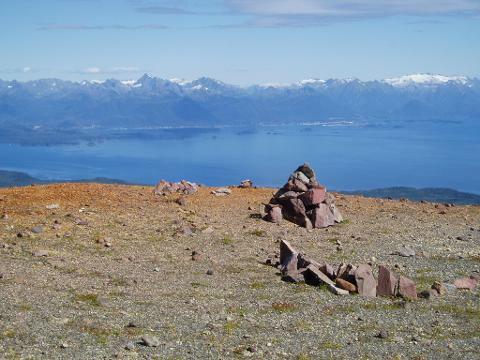 You will want to bring a outdoor clothing and footwear appropriate for Southeast Alaska and a small day pack, Shoes should be sturdy with solid heel, sides and toe, and you should wear layered clothing with with a water and windproof outer layer top and bottom. Your day pack should be big enough to carry water and lunch and your outer layer if it is not needed. 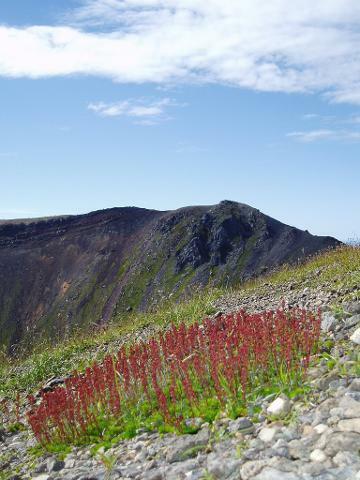 Your guide will carry all safety equipment including bear deterrents, first aide kit, and communication equipment, This hike up Mt Edgecumbe Volcano is on a nice groomed trail that ascends gradually at first and then gets steeper as you near the crater. 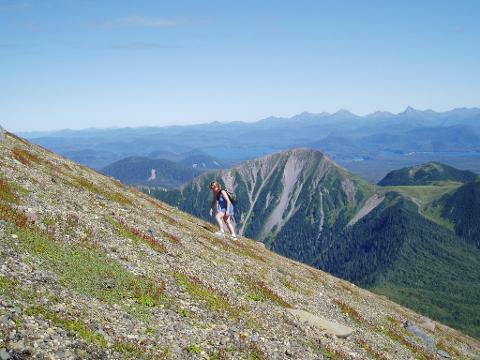 This hike has beautiful views and passes through scenic forest and muskeg areas. 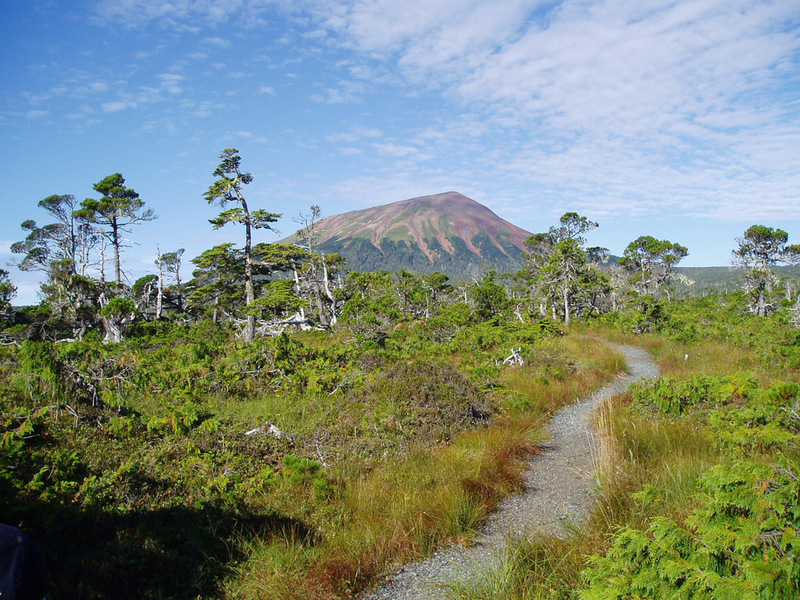 The unique geological features and natural characteristics of this area make this one of the most interesting hikes in the Sitka area.